Spectrum Enterprise, a part of Charter Communications, Inc., today announced a partnership with Moviebeam™, a nationwide video systems integrator, to offer hotels a new, full-featured, in-room guest experience with robust programming packages from Spectrum Enterprise delivered on its advanced fibre network. The new offering combines Spectrum Enterprise Fiber Connect Plus TV, a best in class HDTV video programming service with 200+ HD channels available, and the Moviebeam technology to deliver a customizable experience for hotel properties. 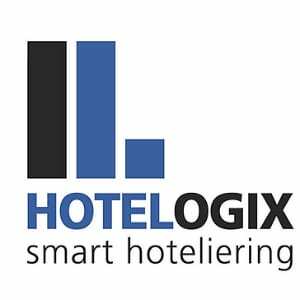 This solution enhances the in-room guest experience while providing an amenity that can generate profits, increase occupancy for hoteliers and seamlessly integrate with property management systems (PMSs). With this solution, hoteliers can deliver custom content and provide concierge information to guests that feature local attractions and services. They can also elevate and promote their brand by customizing the user interface with their hotel logo, colors and property imagery. Hotel guests will experience an immersive and personalized, in-room experience. Using the remote control and in-room HDTV, they can access a full suite of hotel services and entertainment choices, including on-demand content and pay movies. In addition, guests can easily cast from their personal devices using Chromecast and Airplay as well as enjoy audio and video content from streaming apps offered by Moviebeam without entering login credentials into the in-room HDTV. From the comfort of their rooms, guests can order room service, request dry cleaning, check for flight status updates, request car valet and schedule spa appointments or tee times – or any service package that the hotel wants to offer. Hospitality clients can choose from four service package options from Moviebeam and six programming packages featuring sports, premium and international packages and music channels from Spectrum Enterprise – all available now in the Spectrum Enterprise national footprint. Spectrum Enterprise helps more than 16,000 hotels nationwide earn guest loyalty through its portfolio of entertainment and connectivity services including HDTV, Fiber Internet, Managed WiFi and Hosted Communications. The Spectrum Enterprise team of hospitality experts includes local, certified technicians who work closely with hotels to achieve enhanced guest experiences and greater business success by providing technology solutions designed to meet their evolving needs. More information about the Moviebeam partnership and TV offerings from Spectrum Enterprise is available here.